One can draw several conclusions from the cover of Edible Orchids. 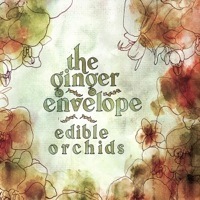 First, it gives the distinct impression of The Ginger Envelope being a post-Elephant 6 band. The green tint, personally, takes me back to Everything Is Green, an early release by The Essex Green on Elephant 6 and the newly resurgent Kindercore. The name of the band and album is the second hint—the names roll off the tongue like those off the lovable indie pop label. 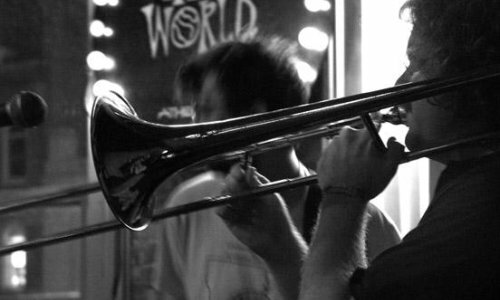 So, one shouldn’t be too surprised that The Ginger Envelope hail from Athens, an indie pop hot spot, and possesses the sound of Elephant 6. “Failsafe” is an early gem; the twangy guitar and lazy vocals make it a rainy day favorite. While the lyrics and vocal melodies give it an early Wilco-esque sound, Edible Orchids as a whole finds itself between indie pop and a southwestern twang. The vocals are lightly raspy and sound like the lighter work of Matt Pryor [Get Up Kids], primarily via his solo work in The New Amsterdams. This can be heard in “Dirty Penny” and on lighter tracks such as “Drift”. “Kites” is another gem and finds Edible Orchids speeding things up with a bouncy melody before hitting one of the slower songs on the album, “Morning Let Me In”. “Silver” features banjo and a sweet melody that brings the pop sensibilities back home. “Night Sweeping” has a country-ish slide guitar and a hooky vocal melody in the verses closing Edible Orchids with an album topper. As the heavy rain falls outside, its easy to get lost in Edible Orchids—the album is perfect for such days. Now I just wish I was home with a warm blanket and a cup of hot mint tea. This review was originally published December 4, 2007 on the old version of FensePost. Rumor has it, The Ginger Envelope is currently working on a new record.